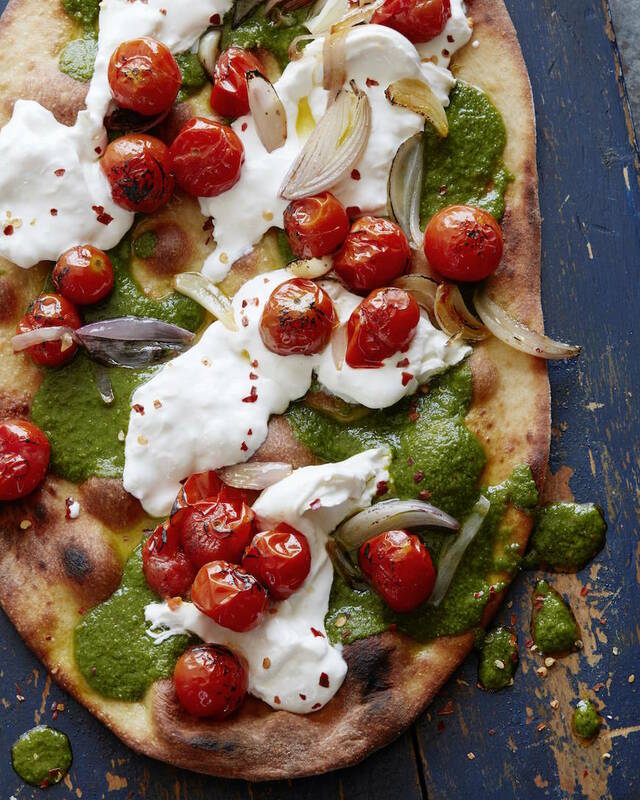 Will we ever get sick of pizza recipes? Doubtful. There are just too many great combos and todays screams summer! 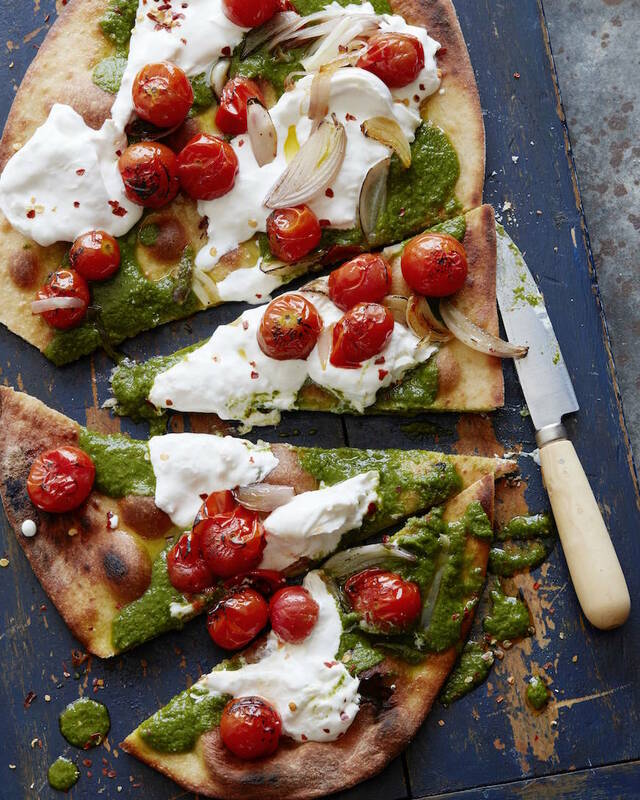 Charred Tomato Pesto Pizza. 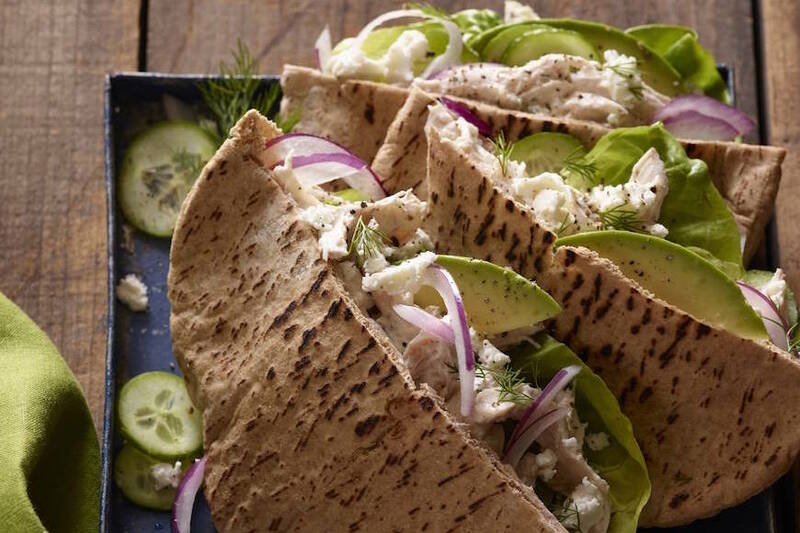 It’s half flatbread / half pizza and it’s easy! I learned the hard way that burrata is better when it’s either cold, room temp or just SLIGHTLY warm. If you try and use burrata like a mozzarella and melt it in the oven, it just gets watery and sloppy. And seeing as how my burrata obsession is in no way, shape or form, going anywhere, I’ve mastered the art of adding burrata to a pizza. The key is adding the cheese at the last minute. You bake the crust until it’s golden and crisp. 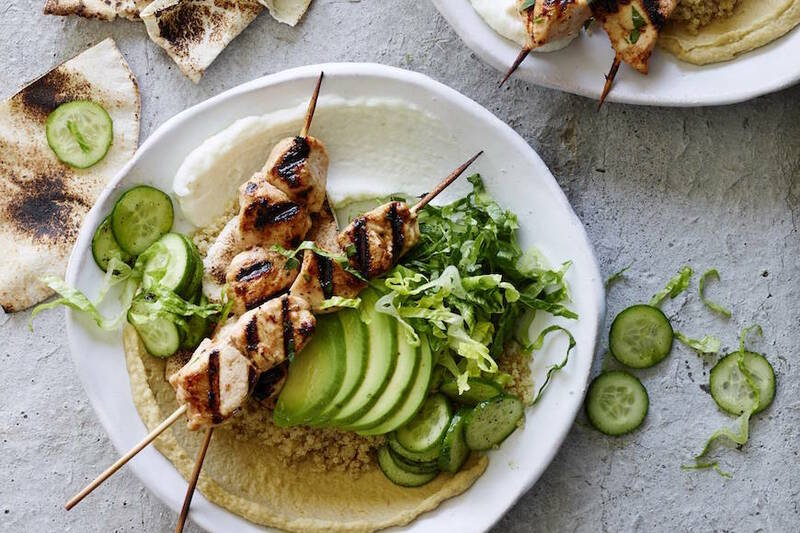 Then slather it with my addictive basil vinaigrette and THEN, and only then, do you add the burrata. That way the residual heat from the pizza crust just barely warms the cheese! You’re welcome. 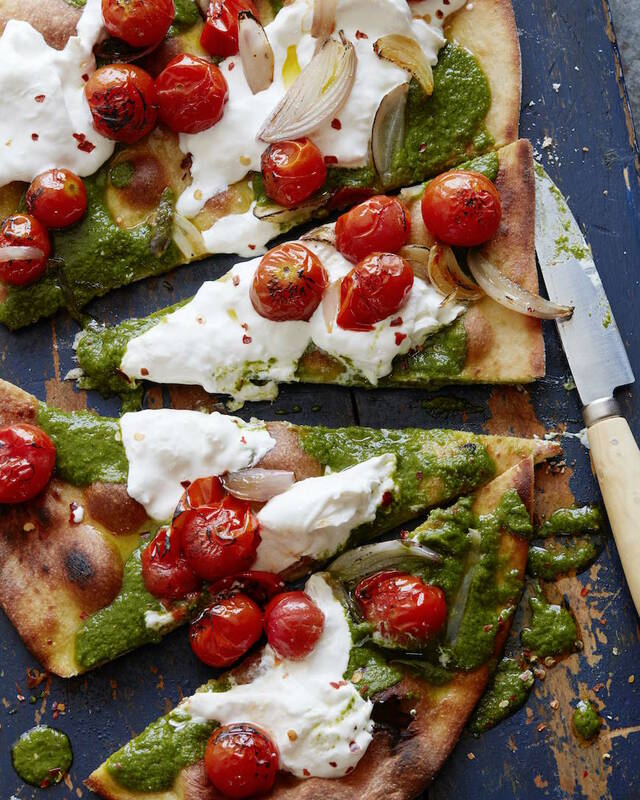 Consider your burrata game forever changed for the better. Preheat the broiler. In a medium baking dish, toss the cherry tomatoes with the garlic, shallot and olive oil and season with salt and pepper. Broil 6 inches from the heat for about 5 minutes, or until the tomatoes pop and brown lightly. On a lightly floured surface roll the dough thin. Transfer to an oiled baking sheet, drizzle with olive oil. Bake 8-12 mins till golden. Remove from oven and top with the basil vinaigrette and fresh burrata and red pepper flakes. Let the burrata melt a bit before topping with the charred cherry tomatoes. Slice and serve immediately. Yum! I love pesto on pizza! Mmmmm. I love the sound of the basil vinaigrette on the pizza. Seems like it will taste so light and fresh. I am not waiting for summer to make this one!! 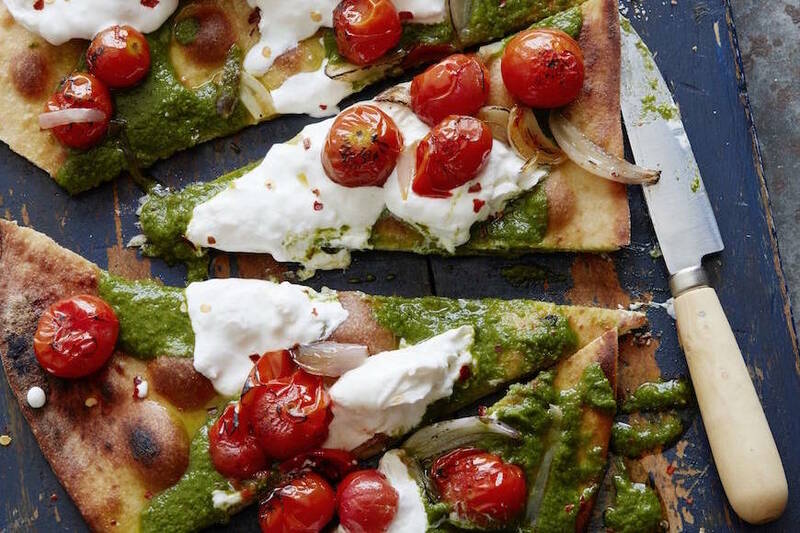 I love everything about this amazing pesto pizza recipe! Yummy! This looks amazing! I love charred tomatoes in/on/with anything! And great tips about burrata, too. My gosh I love this~ You are just too good my dear. Can you be my personal chef? I made this, it was pretty good, but waaaaaay too much salt! how much salt did you use? everything says salt to taste! Made this twice and LOVED it both times! 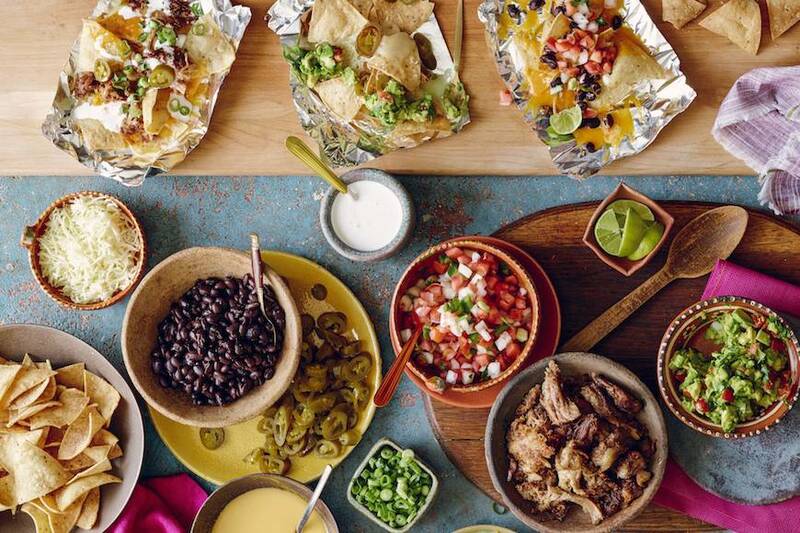 Do you have any recommendations on a side dish? We grilled pizzas in the Big Green Egg for the first time last night, and this was by far the biggest hit! (And why have I never grilled pizza before?? Amazing!) I’m loving everything in your cookbook too!